I'd then open the mirrored door and peruse the goodies inside. I'd open the makeup compact and powder my cheeks. I'd cup my hand and pour in a smidgen of nail polish remover to rub over my hands, enjoying the icy cold feel of the liquid on my skin. And I'd pull out the thin, blue package with the two Xs in the name, remove the foil package within, carefully unwrap it — glancing at the door lock to ensure no one would catch me — then I'd take a few tiny nibbles from the chocolate my mom had hidden there for some reason, sucking and savoring until the sweetness melted away on my tongue. I recall my forays into the forbidden territory and the chocolate-flavored laxative I consumed fairly regularly — unbeknownst to parents or siblings — as I consider the information sent for me to share in the Up and Away and Out of Sight campaign. 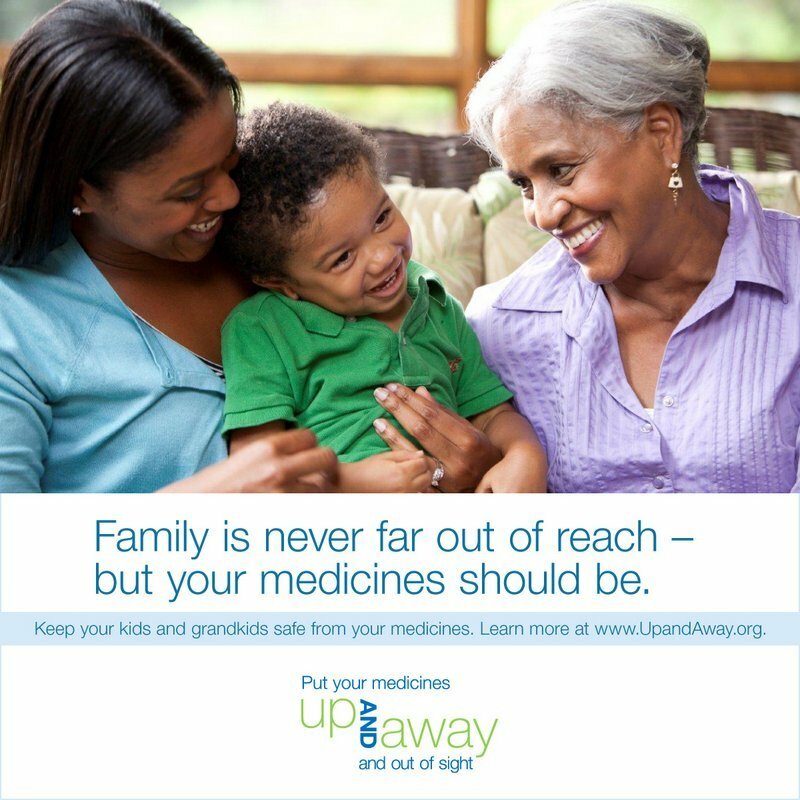 Up and Away and Out of Sight — an initiative of the Consumer Healthcare Products Association and the CDC — is a campaign to spread the word about the importance of keeping medicines up and away and out of sight of children. Up and Away and Out of Sight hits high gear in the weeks surrounding Grandparents Day (Sept. 7 this year) in recognition of the fact that more than 5.4 million kids are being raised in households headed by grandparents. 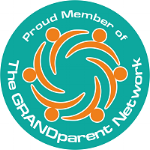 Additionally, according to SafeKids Worldwide, 1 in 8 grandparents in this country provide care to a grandchildren on a regular basis. • Every day, the number of kids taken to the ER for accidental medicine ingestion equals four busloads. Annually, that's 60,000 kids! And 38 percent of the time, the medicine belonged to a grandparent. (39 percent of the time the medicine belonged to a parent). • When asked, grandparents listed electrical outlets as a top safety issue for kids, yet the reality is that kids are 36 times more likely to go to the ER because of accidental medicine ingestion than for injuries related to electrical outlets. • Baby proofing and child proofing requires far more than covering outlets and putting away breakables. At the very top of the list must be storing medicines up and away and out of sight. The Up and Away website provides a checklist to help. Click on the graphic below to access the full-size printable PDF checklist. • Take the Put Your Medicines Up and Away and Out of Sight pledge, which you can find on the Up and Away website (at the bottom of the right-hand column). I took it. I hope you will, too. And be sure to share with your grandparent friends as well as the parents of your precious grandkiddos. You'll find loads of other important medicine safety and medicine poisoning information on the Up and Away site, too. Disclosure: Up and Away is an educational program to remind families of the importance of safe medicine storage. It is an initiative of the PROTECT Initiative, in partnership with the Centers for Disease Control and Prevention and the Consumer Healthcare Products Association Educational Foundation. I am being compensated for this blog post but my opinions are all my own.